This is just a small selection of Purple wedding invitations to give you some ideas. The majority of our wedding invites on the main page are available with ribbon to match your colour scheme. 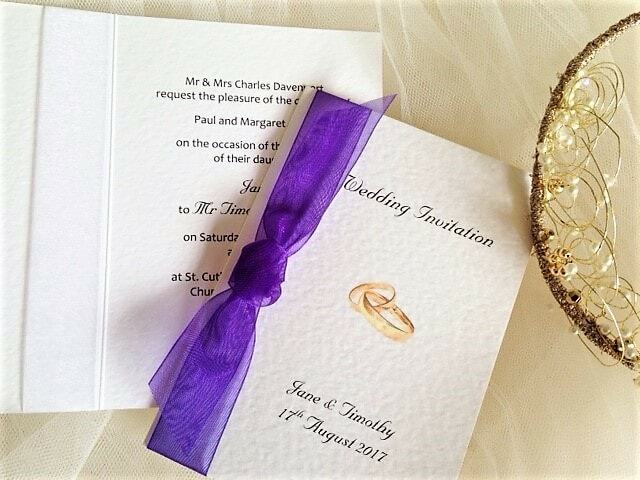 Opulent, luxurious and bold, purple or “Cadbury’s” purple is a popular choice for many wedding themes. 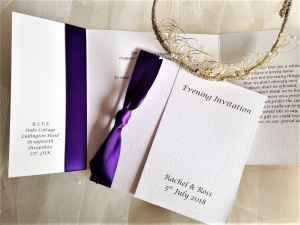 From deep and opulent purple hues to aged lavender and lilac vintage tones, incorporate this versatile colour into your wedding invitations. 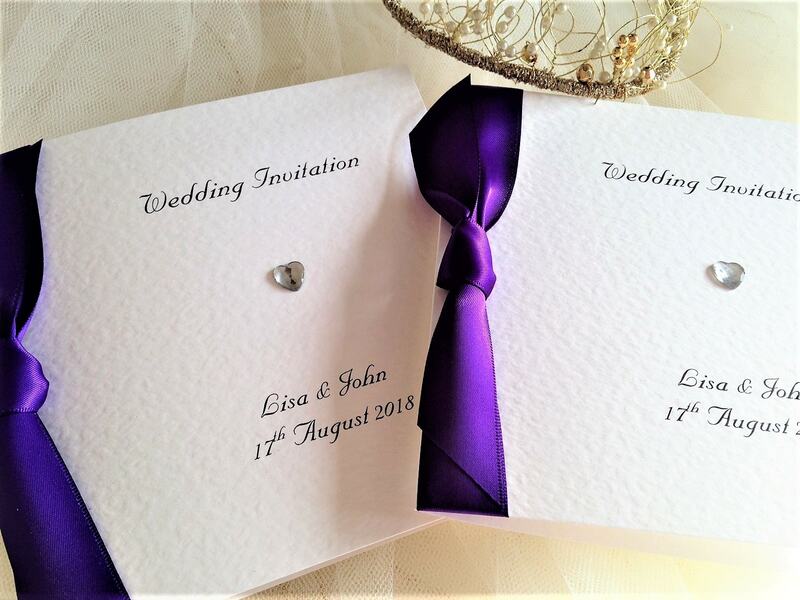 Take a look at our purple and lilac butterfly wedding stationery range. 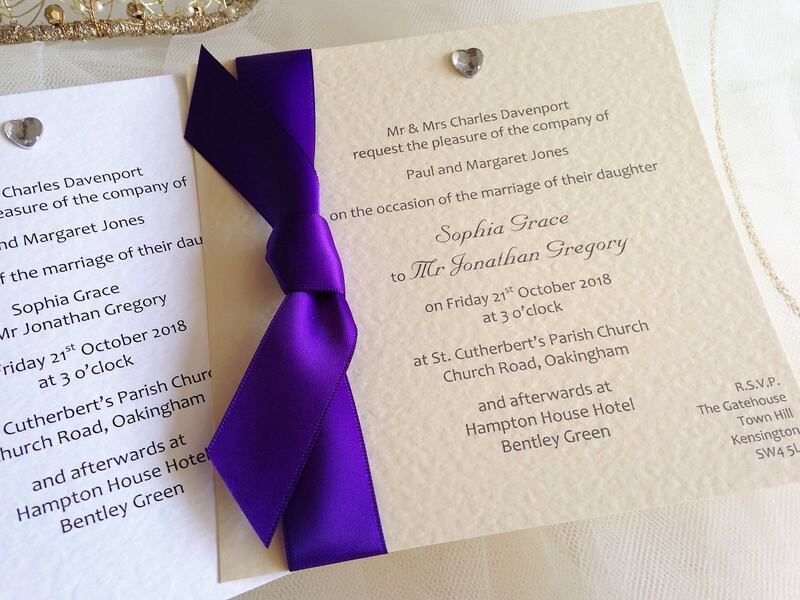 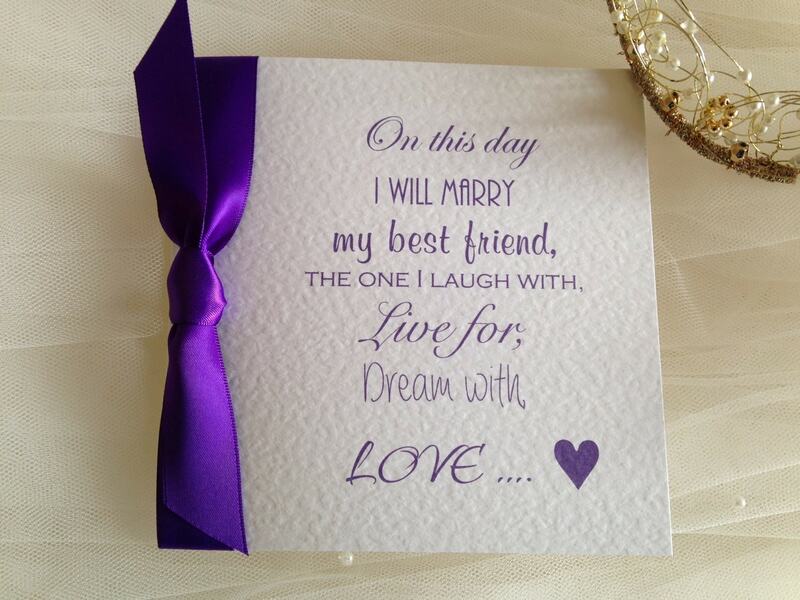 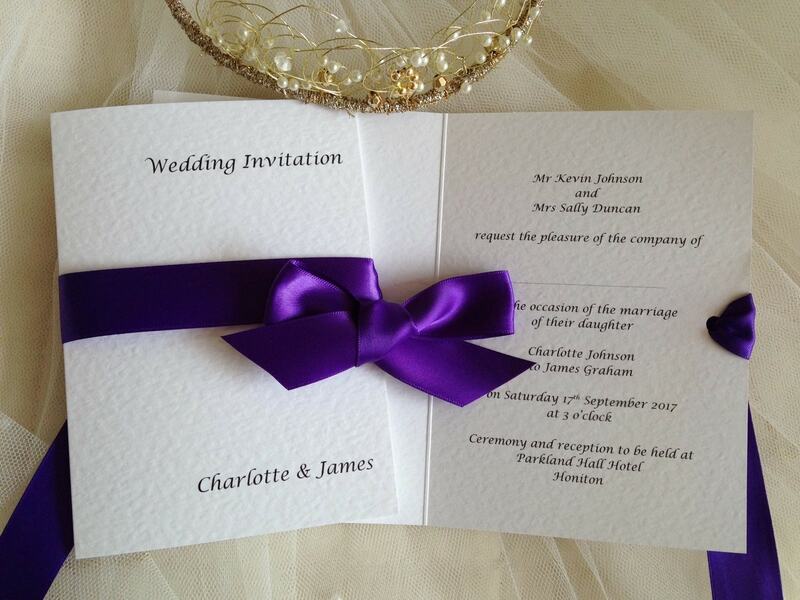 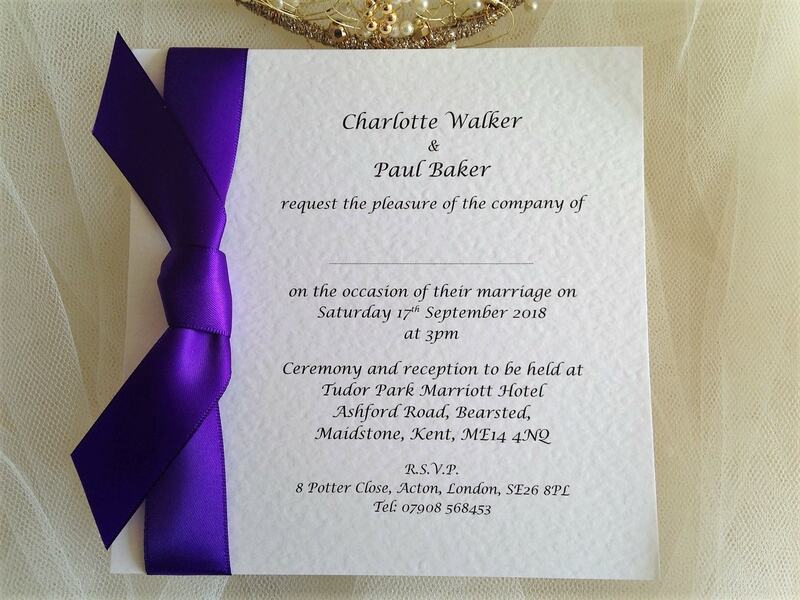 We stock purple ribbon in satin and organza and can even print your invitations in a purple typeface if you wish. 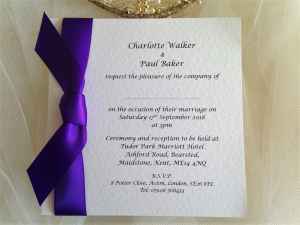 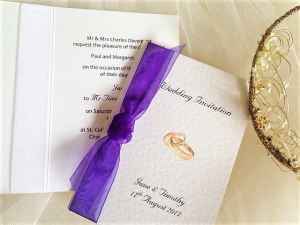 Order your purple wedding invitations today.